The 4500 provides enormous water removal capacity. 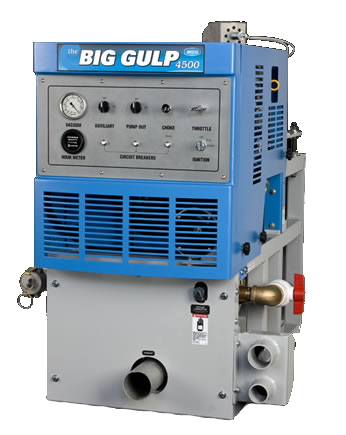 Ideal for use in homes, businesses, production facilities, accident sites and the largest commercial locations, the Big Gulp makes fast work of any water extraction job. Designed and engineered by truckmount veterans and constructed with premium-quality components throughout, the Big Gulp is simple to operate and easy to maintain. It will provide reliable service for years to come.